Fundraiser by Rosemary Stone : Xisco's road to recovery. This fund is for expenses incurred due to my son Xisco being brutally attacked in San Remo, Italy. 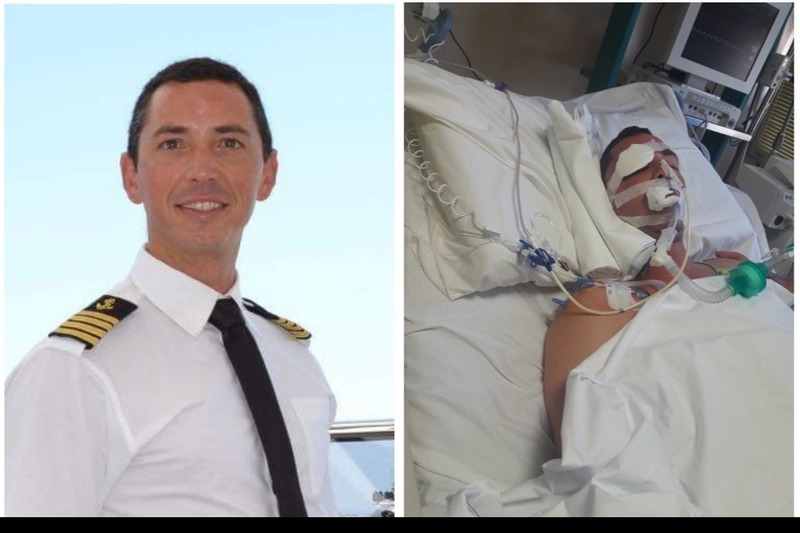 On September 24th, when returning to his boat in San Remo he was brutally attacked and taken by an ambulance helicopter to a special neurology unit 6000€ (we have to pay for this helicopter service). He is in intensive care, in and out of a coma, we still don’t know if there will be permanent brain damage. Once he is stable enough to travel, we need to get him back home. The Spanish Consulate says that the patient’s family must pay the cost of the air ambulance 19'000€ (Xisco’s insurance does not cover this). We have already spent more than we can afford with air travel and hotels so that someone can be with Xisco. Thank for your help. Este fondo es para gastos producidos debido a que mi hijo Xisco fue brutalmente agredido en San Remo, Italia. El 24 de septiembre, cuando regresaba a su yate en San Remo fue brutalmente agredido y trasladado en un helicóptero ambulancia a una unidad de neurología especial 6000€ (tenemos que pagar por este traslado). Está ingresado en la UCI, ha estado 11 dias en coma y todavía no sabemos si habrá daño cerebral permanente. Una vez que esté lo suficientemente estable para viajar necesitamos que vuelva a casa. El consulado español dice que la familia del paciente debe pagar los gastos de la ambulancia aérea 19'000€ (el seguro de Xisco no lo cubre). Ya hemos gastado más de lo que podemos pagar con vuelos y hoteles para que alguien pueda estar con Xisco. Gracias por tu ayuda. The expenses are still continuing as we are still in Italy with Xisco. We are unsure when the bill for the Air ambulance will come. Xisco is finally out of intensive care. He is still very ill, in bed and has to keep still (impossible for Xisco) as he is unable to walk yet, he has to be restrained when we are not there as he tries to get out of the bed. When he was moved from intensive care his drips were removed and he should have started eating but he wasn’t hungry and refused to eat so they have replaced the feeding drip. Xisco has had full examination and a brain scan, we are now waiting for the results to be able to know if he can fly home. Hopefully the clot on his brain will once again be smaller as the brain absorbs it, returning to normal. We are so thankful for all the support and prayers we have received. Hopefully he will be returning to Palma soon.